You may have seen the Houston asphalt crew hard at work, laying asphalt and stream rolling it to perfection on one of the local roads or streets. In addition to roadwork, we also provide a variety of related asphalt services including asphalt repairs and renovations, grading, milling, and sidewalks, gutters, and curbs. 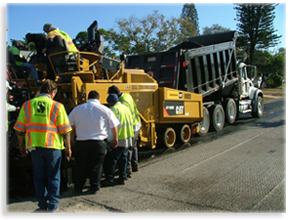 Each of these asphalt services requires expertise – and we have it! Did you know that roughly 90 percent of all American highways are paved with asphalt pavement? We’ve been involved in pouring pavement throughout the Houston area for over 20 years. We provide full service asphalt paving from start to finish. It all begins with grading and preparing the site. Once properly prepped, the road building begins. This requires extensive manpower, heavy equipment, and lots of asphalt. We provide everything the job requires and work diligently to ensure a timely completion that meets all quality specifications. No matter which role we may be asked to play, we work well with others! When selected as the primary contractor, we provide expertise, leadership, and a well-organized project management plan. When selected as a subcontractor, we follow direction and contribute to the project’s ultimate success. No one likes driving on an uneven surface or hitting a pothole. With inclement weather, Houston’s roads, driveways, parking lots, and highways regularly get pounded. Houston Asphalt repairs and renovates these surfaces for homeowner associations, contractors, private industries, community development organizations, and local government agencies. All roads, construction sites, and parking lots require a properly prepped surface. We are expert graders! 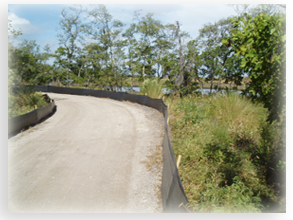 Whether the grading job is part of a road project, industrial park, construction site, or a subdivision, count on the grading experts employed by Houston Asphalt. Grading requires extensive expertise, heavy equipment operators, civil engineers, and a work crew that understands drainage, preparations, utility concerns, and project specific activities. We are equipped with grading expertise as well as grading equipment such as bulldozers, backhoes, rollers, transporters, and tractors. Count on us for all of your grading needs. 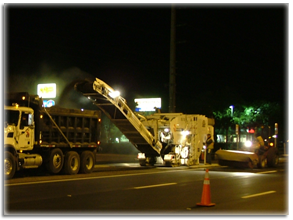 Milling is the process of scraping off the top layer of asphalt and then grinding and recycling the used asphalt. 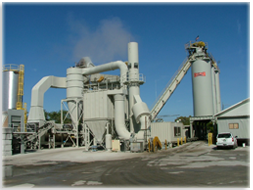 We regularly mill asphalt as a part of larger asphalt projects in Houston as well as standalone projects. Houston asphalt jobs often require the installation of sidewalks, gutters, and curbs as the finishing touch on a road project. In addition to installing sidewalks, street gutters, and curbs on road building projects, Houston Asphalt is also involved in doing so as standalone projects. Adding sidewalks and curbs to neighborhood streets lacking them is a terrific way to renew and revitalize and aging neighborhood or community. Houston Asphait provides a variety of valued and reputable services to the asphalt, paving, and construction industries.